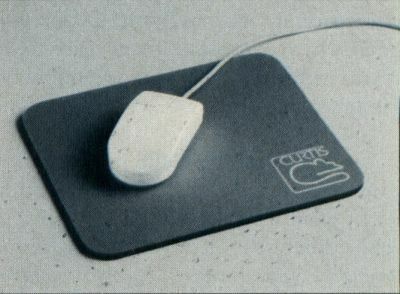 Curtis Manufacturing Company has added the Curtis Mouse Pad to its product line. The pad is of laminate construction with a nonslip surface that the company claims helps maximize accuracy, control and response, as well as extend roller ball life. According to Tom Judd, president of Curtis, "Anyone concerned with the accuracy, performance and longevity of their mouse needs a Curtis Mouse Pad. We've developed a cost-effective, quality product that delivers precise cursor positioning and improves mouse performance." The Curtis Mouse Pad measures 8 × 9.5 inches and is waterproof and stain resistant. Its nonskid backing keeps it from slipping on your desk's surface. The pad retails for $6.95.